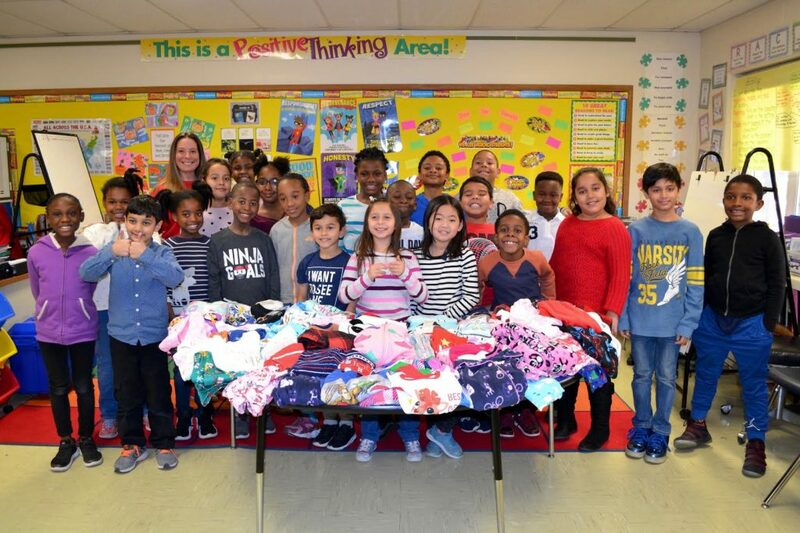 Shaw Avenue Elementary School students in Valley Stream District 30 collected 76 warm and comfy pairs of pajamas, their largest donation to date, during the month of December as part of Scholastic Book Clubs Great Bedtime Story Pajama Drive. The annual drive benefits the Pajama Program, a national nonprofit organization that provides new pajamas and storybooks to at-risk children. Facilitated each year by third-grade teacher Darlene Sinclair, students brought in new pajamas for boys and girls in need to help support the cause. Through the program, Scholastic provides a free book to go along with each pair of pajamas that are donated to a child in need. “We really love that it instills a sense of community and teamwork while supporting those in need,” said Sinclair.